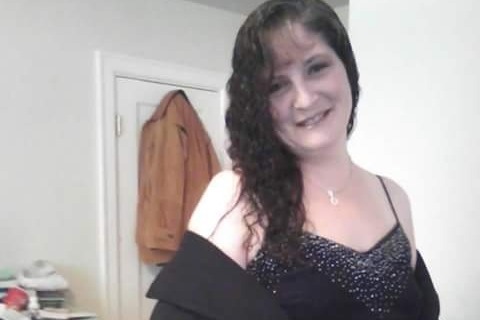 Angela Jaie Rogers (44) lost her battle with depression, and took her own life on October 1st, 2018. She left behind four children (Alice Park (26), Alyssa Rogers (23), Autumn Rogers (19), Austyn Rogers (17)) and so many friends, I could never count them all. My mother was the most kind hearted person I’ve ever had in my life. You could break her down a thousand times and she’d always jump right back up and keep going. She always loved more than I've ever seen anyone love another. She always forgave people, and she always gave them chance after chance, believing that anyone can change for the better, no matter the circumstances. My mom was born with a lions heart of gold, never wavering from her love for basically anyone she met. She always encouraged us to be ourselves and never let anyone judge us for being who we are. She was our rock. She was our everything, and is already so deeply and painfully loved & missed by all of us. There will be a memorial service arranged and details will be posted in the next few days/week. For those of you who don't know, she moved to Georgia over a year ago, and that is where she is now. My brother and sister were living with my mom and are currently in a hotel room until my Aunt can get to them. Right now our plan of action is to move as much of my moms belongings out of the house as possible, and into a storage unit she had rented upon moving there. The funeral home said that we need to pay for cremation in full before they can begin the process, so that's a kind of top priority. We will also be renting a U-haul to get her belongs, as well as Autumn & Austyn, moved back to Oregon to live with me until they can get their feet on the ground. While my Aunt and siblings are packing/moving stuff I will be working on setting up the memorial service (any advice is super welcome) to be held here in Albany, OR. I will try to get a set date as soon as possible so that everyone can reserve that day off if they would like to attend. Every single one of us kids is extremely grateful for all of your condolences, well wishes, and more. I know that it is late, but we just hit our goal thanks to every single one of you. We are now able to afford/pay back getting my mom's ashes and my brother & sister home to Oregon. A billion thanks, I hope everyone knows how truly grateful I am. <3 will update where the siblings are in the morning as the are on the road right now!